Feeling in need of a snack but don't want to break your commitment to healthy eating? You need Allgood Provisions Organic Snacks! 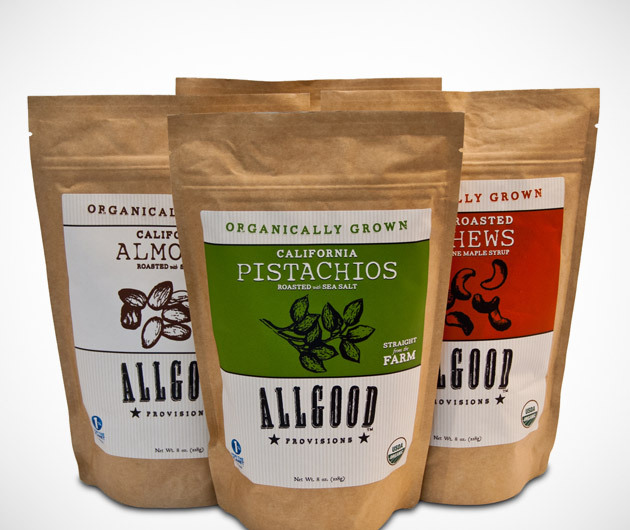 The Allgood Provisions Organic Snacks range includes dried fruit, pistachio nuts, roasted almonds, cashews roasted with maple syrup, and high-antioxidant trail mix. All of the fruits and nuts in these snacks are organically grown, so you avoid the nasty pesticides that are sprayed onto most commercially produced crops.